Castle Estate Agents are delighted to present 14 Millrace Drive to the market. 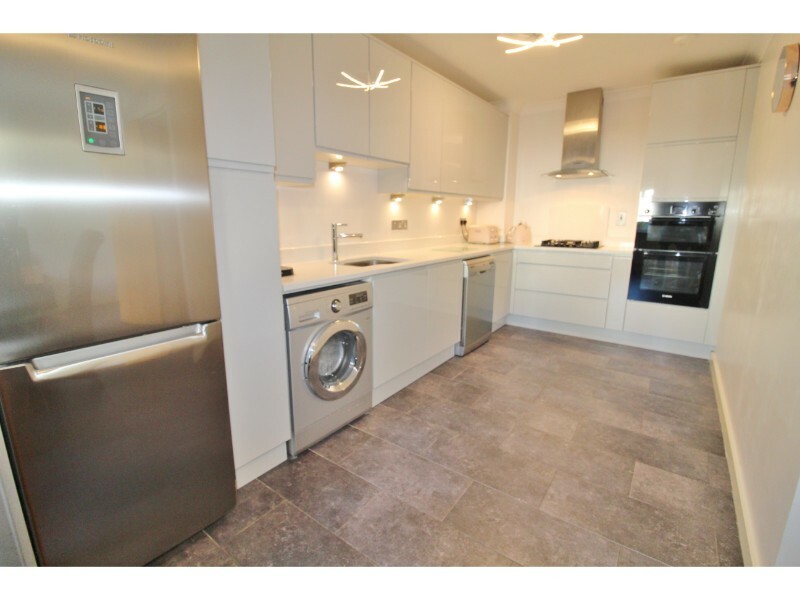 This stunning four bedroom townhouse of some 1,700 sq ft is spread over three storeys and is presented in immaculate order throughout. 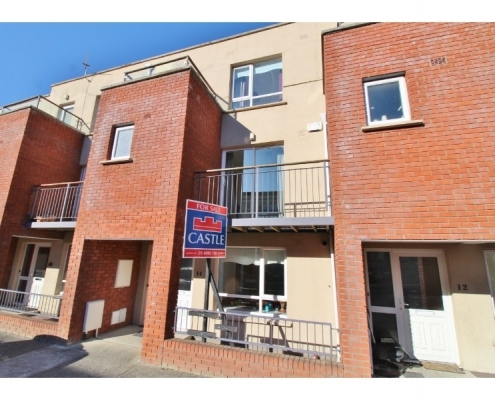 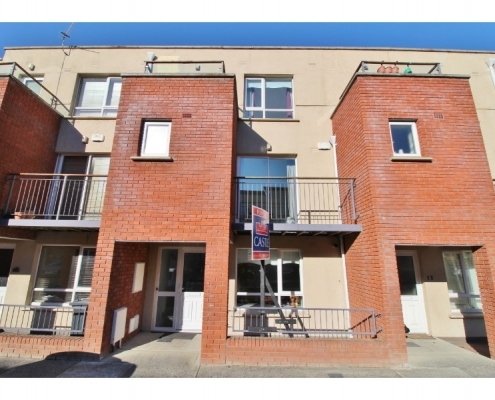 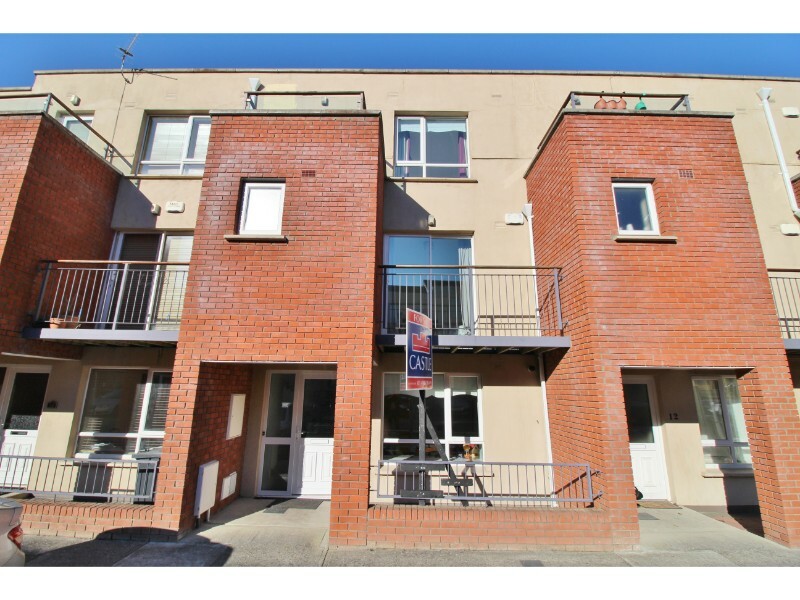 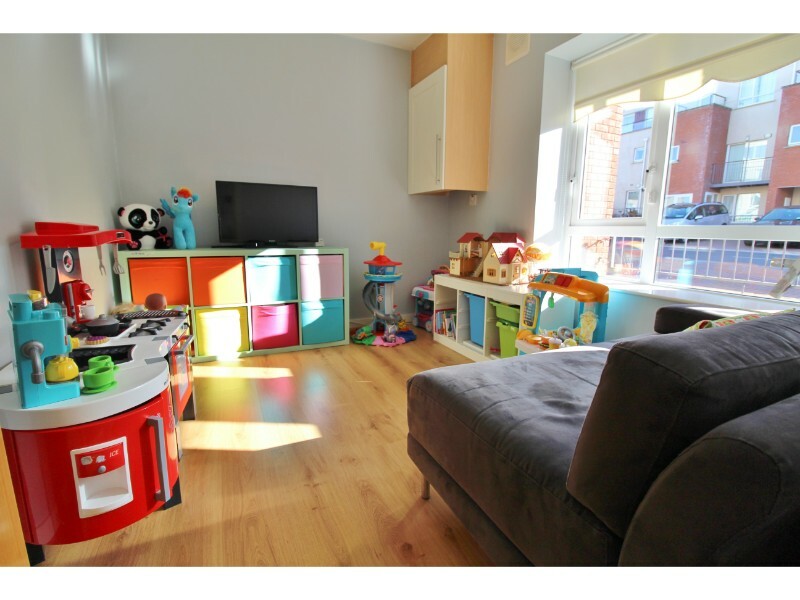 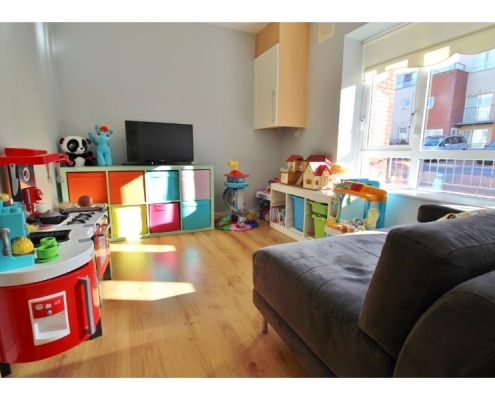 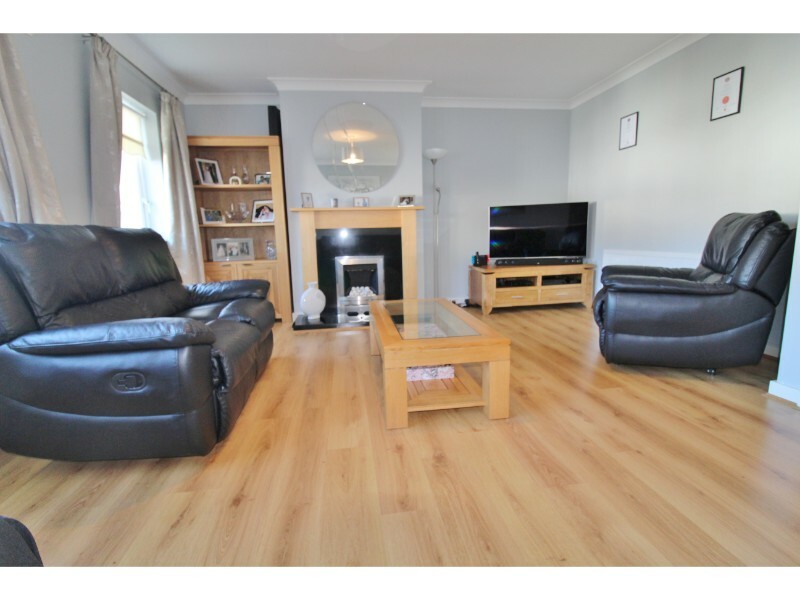 Located on the highly sought after Millrace development this superb property is within a short walk of Saggart village and LUAS with all local amenities, shops, schools and parks close by. 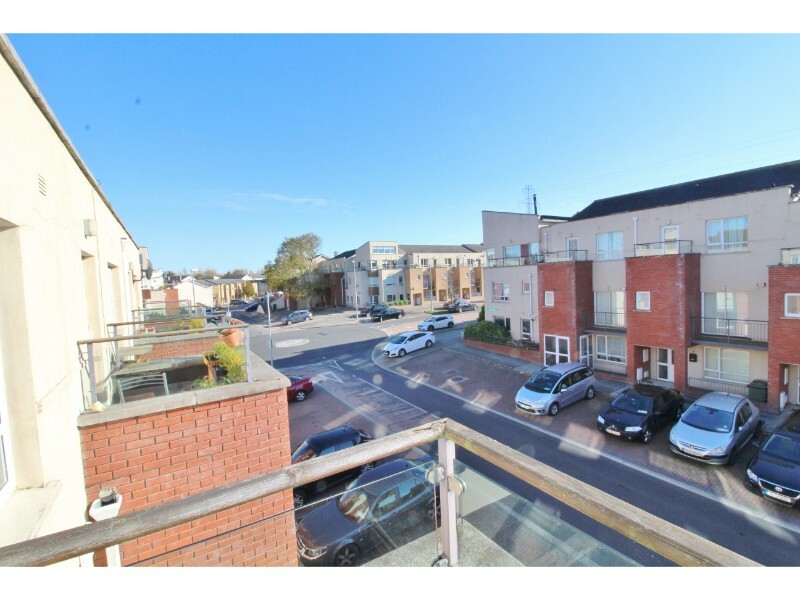 Rathcoole village, N7, N81 and M50 are just a short drive away. 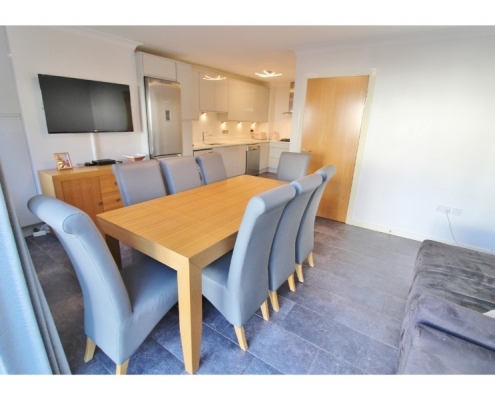 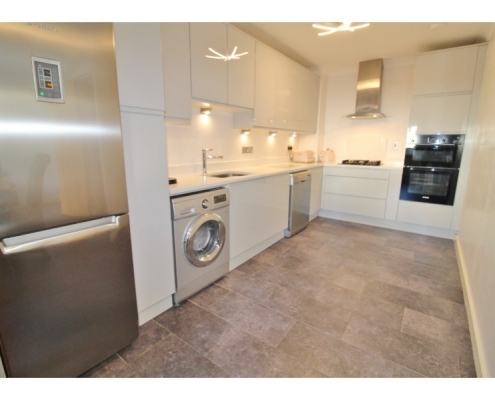 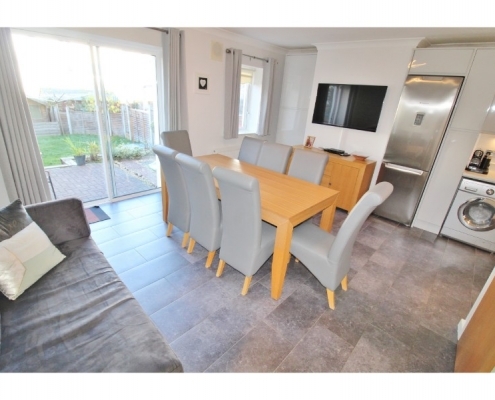 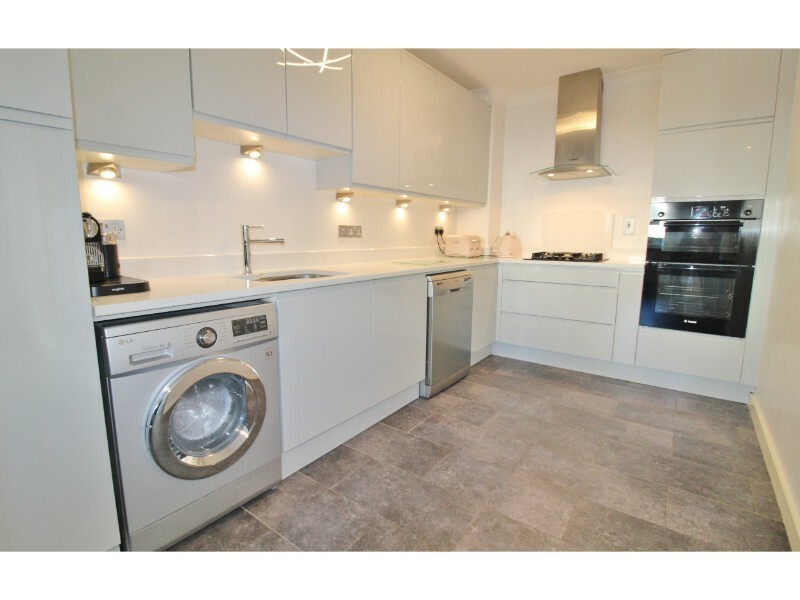 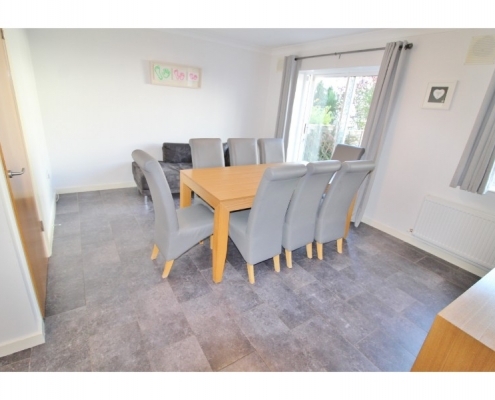 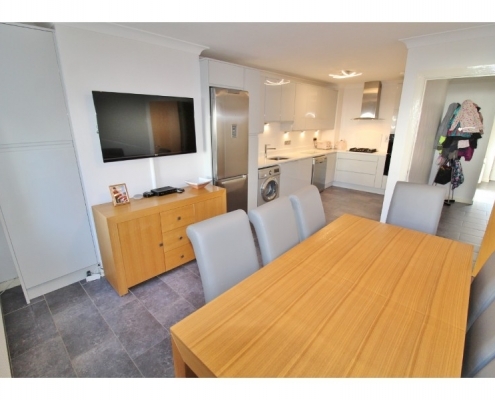 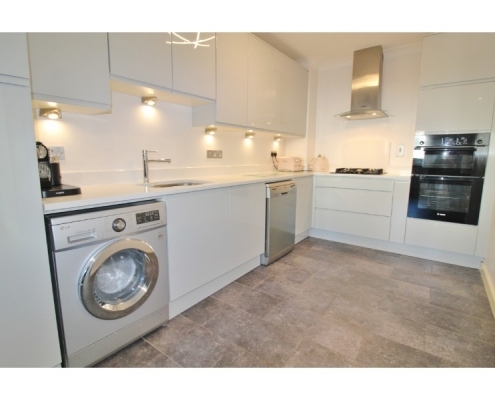 Boasting bright and deceptively spacious living accommodation over three floors this superb property briefly comprises of a large, open-plan kitchen diner, study/T.V. 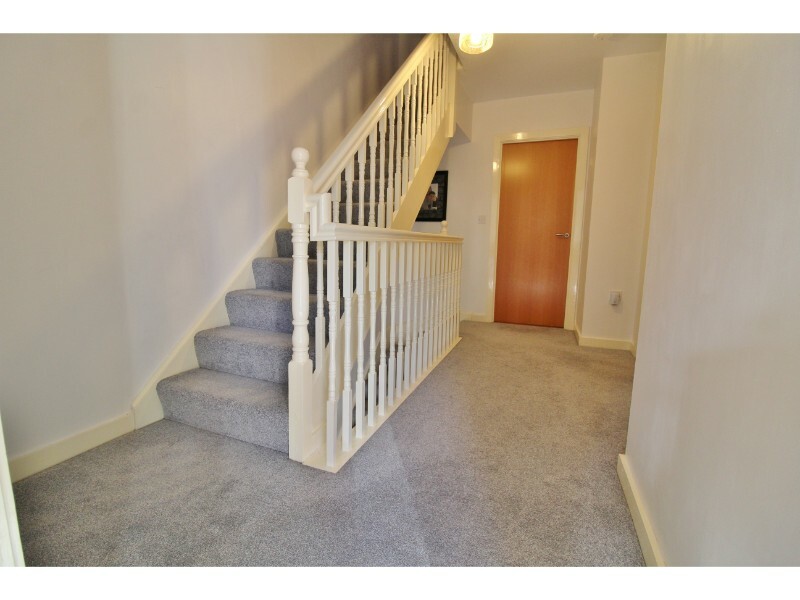 room, and cloakroom to the ground floor, sitting room, guest suite (double bedroom and en-suite shower room) and family bathroom to the first floor and master bedroom, en-suite shower room and two further bedrooms to the top floor. 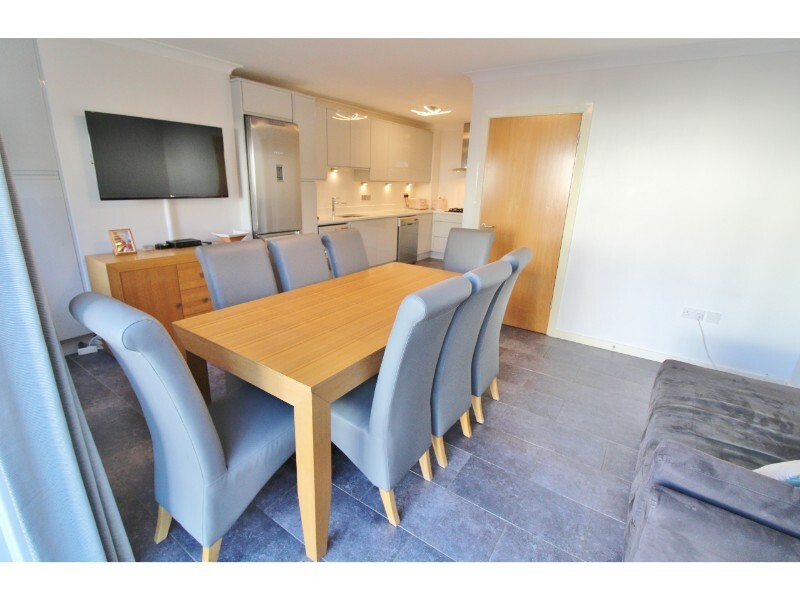 Many additional benefits include full double glazing throughout, gas-fired heating, twin, south-facing balconies, fitted wardrobes and alarm. 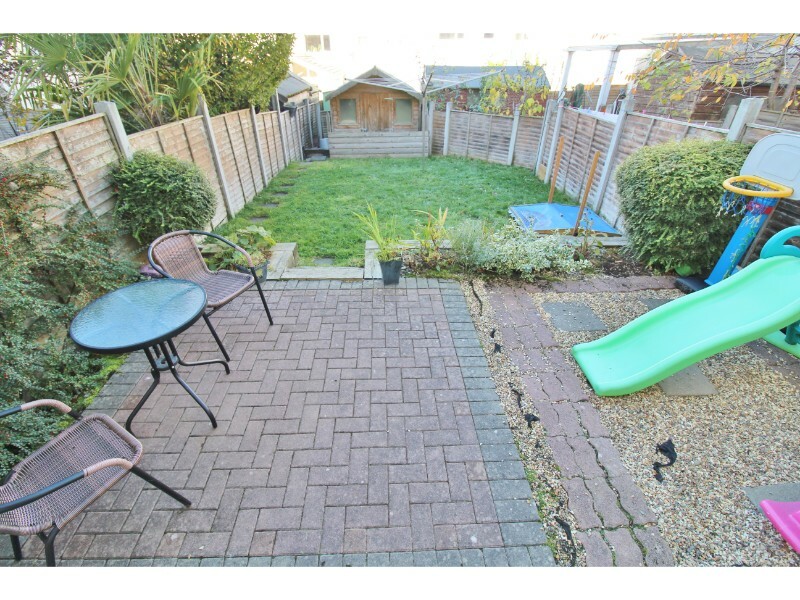 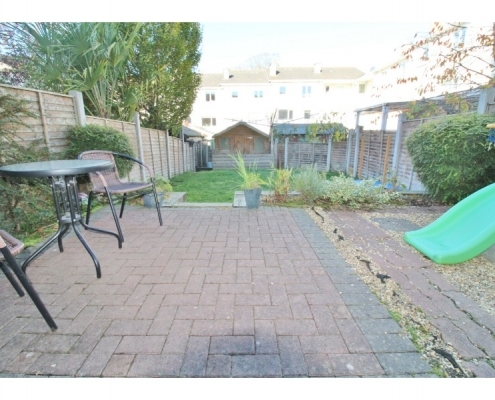 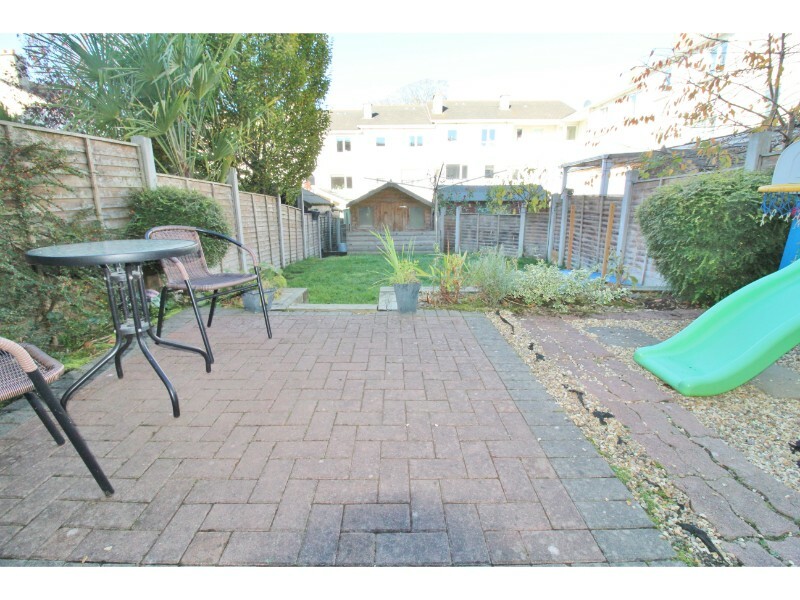 To the rear is a pretty rear garden and to the front is ample resident and visitor parking. 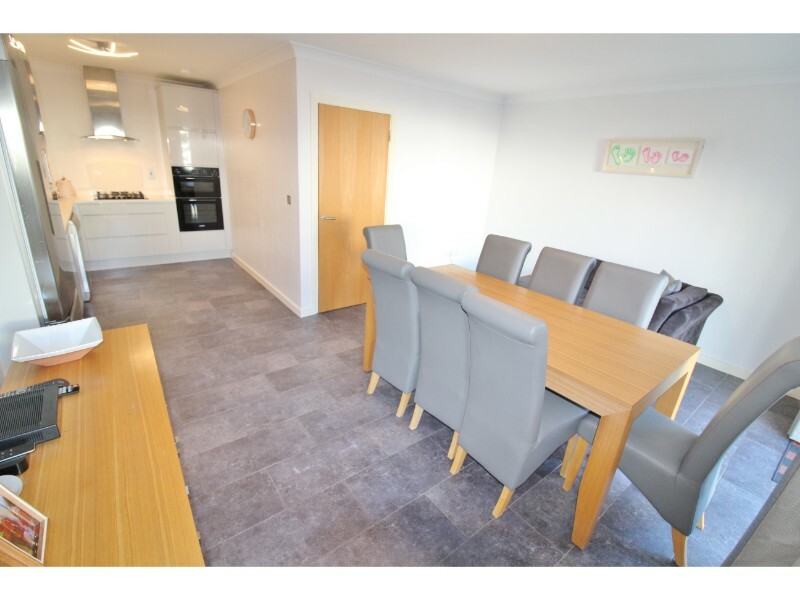 Kitchen/dining room: 6.87m x 5.20m Double glazed sliding patio doors to rear aspect and garden, double glazed windows to rear aspect, Porcelain tiled flooring, a range of both eye and base level kitchen units with Quartz work surfaces and splash-backs, integrated oven and grill, integrated 4 ring gas hob and extractor, space for washing machine, space for dishwasher, space for fridge/freezer, coved ceiling and designer lighting. 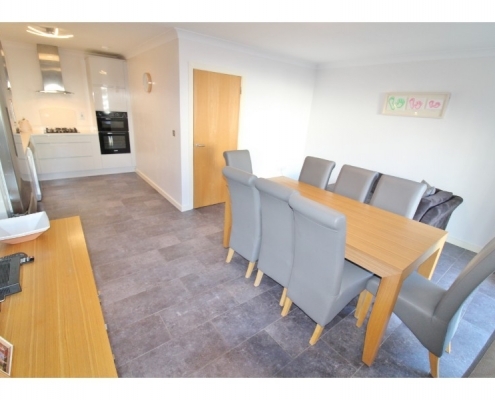 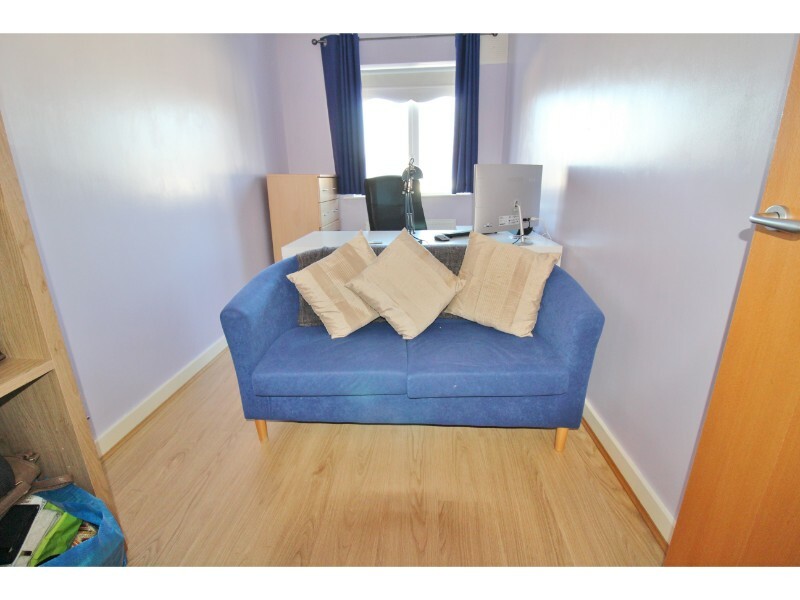 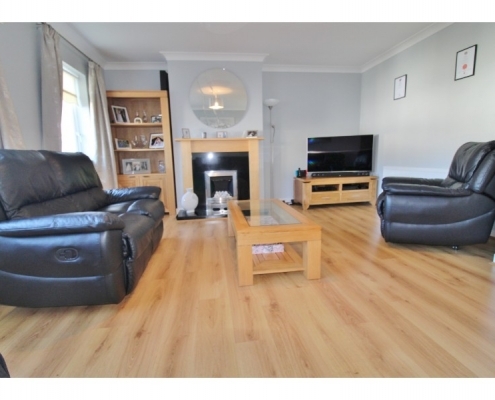 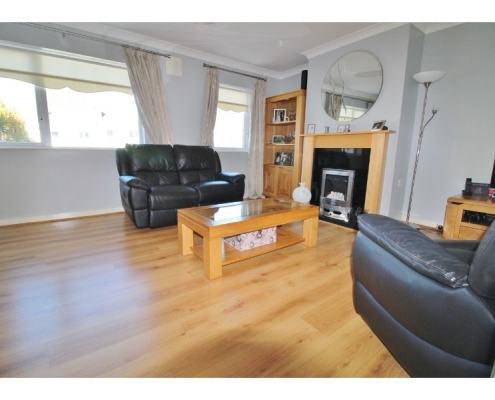 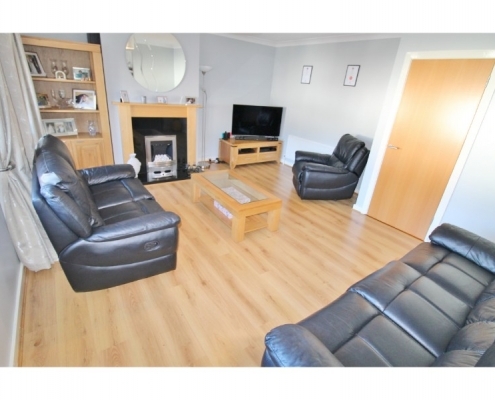 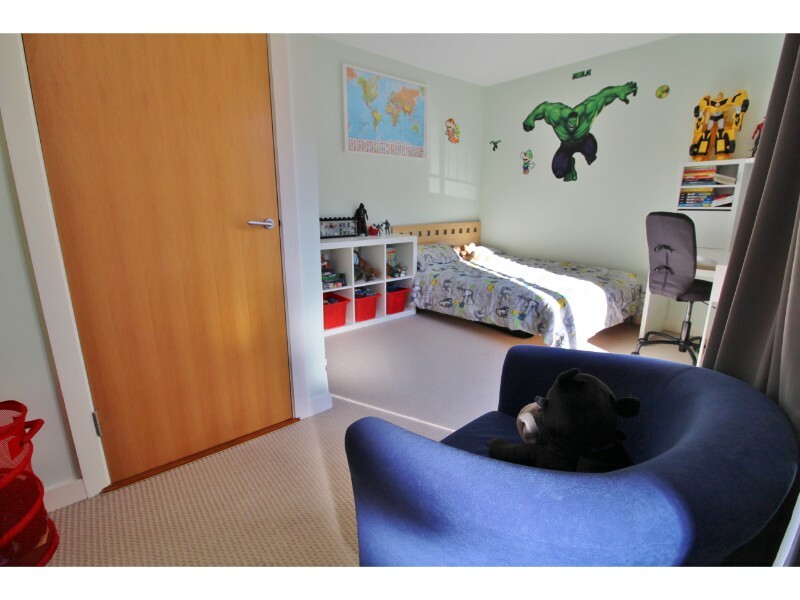 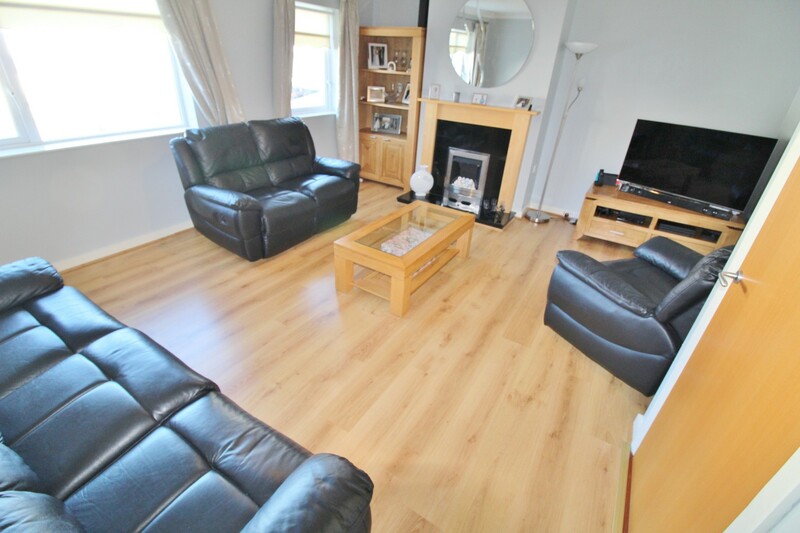 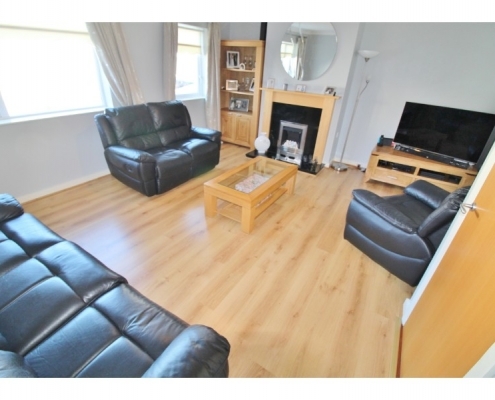 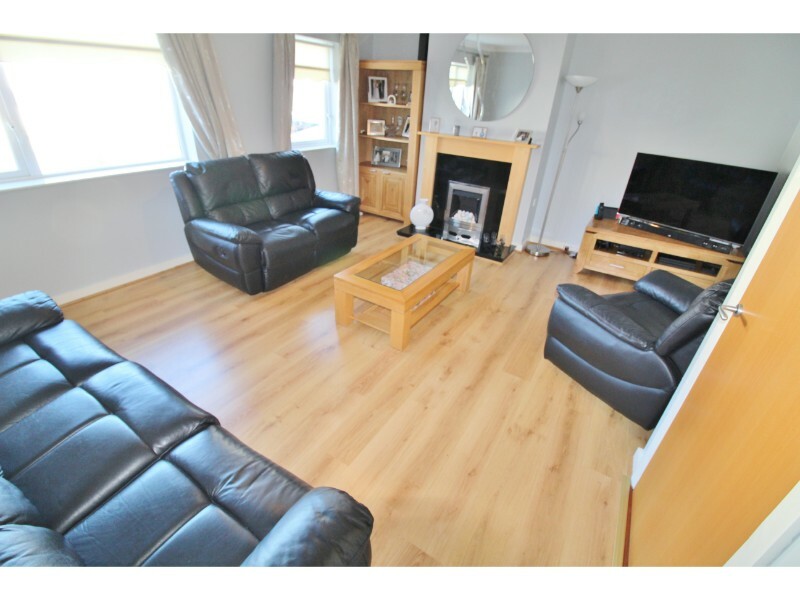 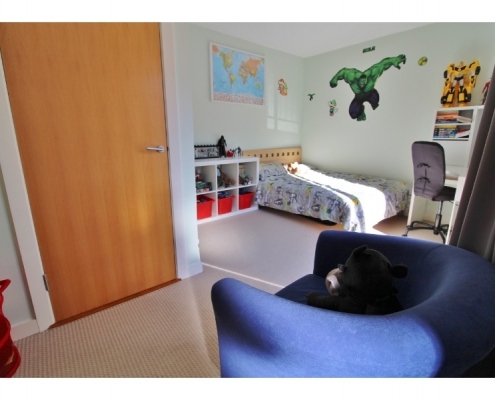 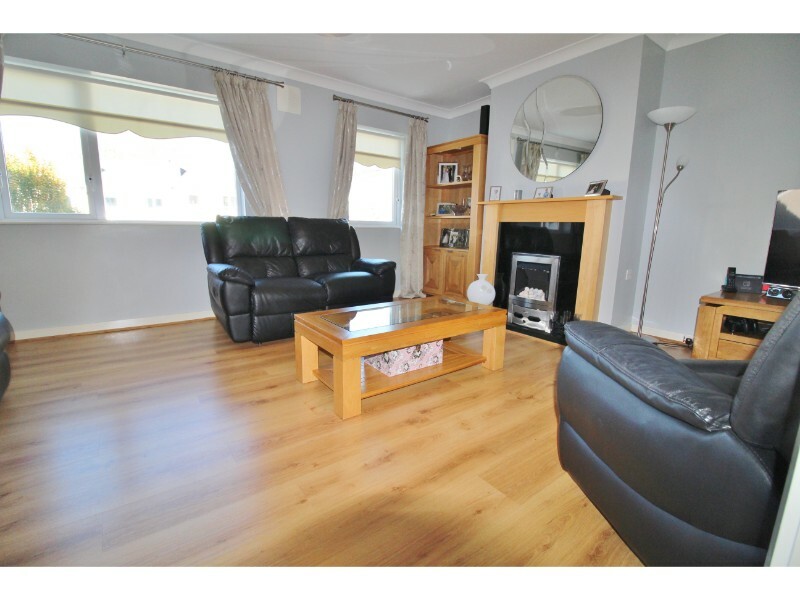 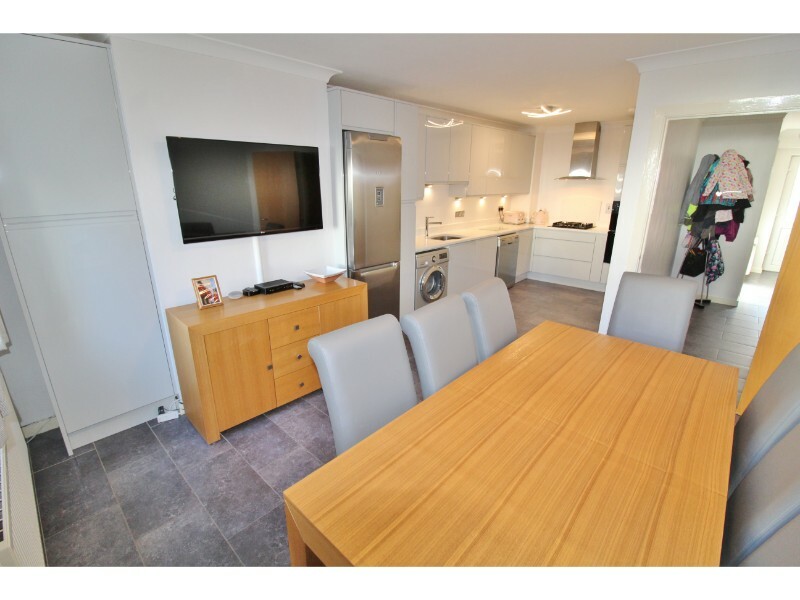 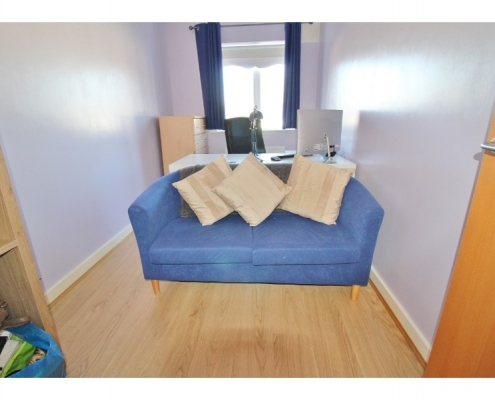 Study/TV room: 3.23m x 3.00m Double glazed windows to front aspect, laminate flooring and wall-mounted gas boiler. 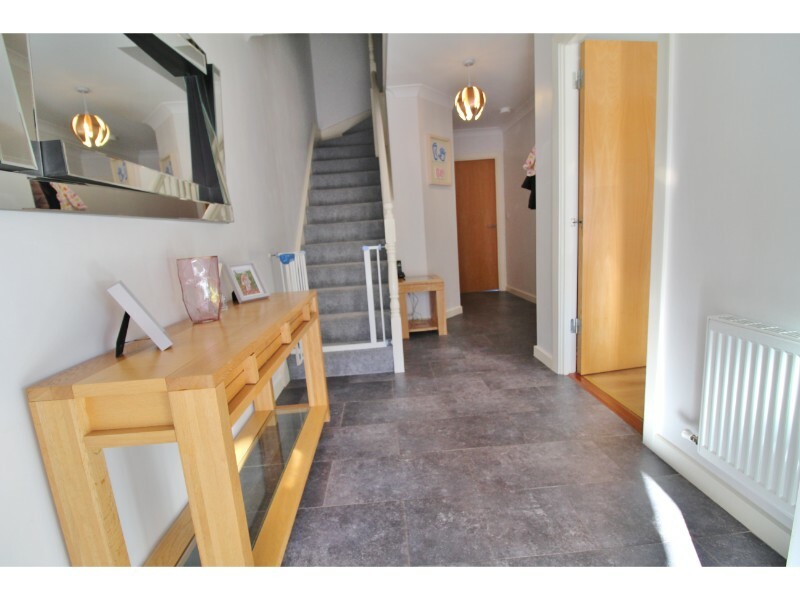 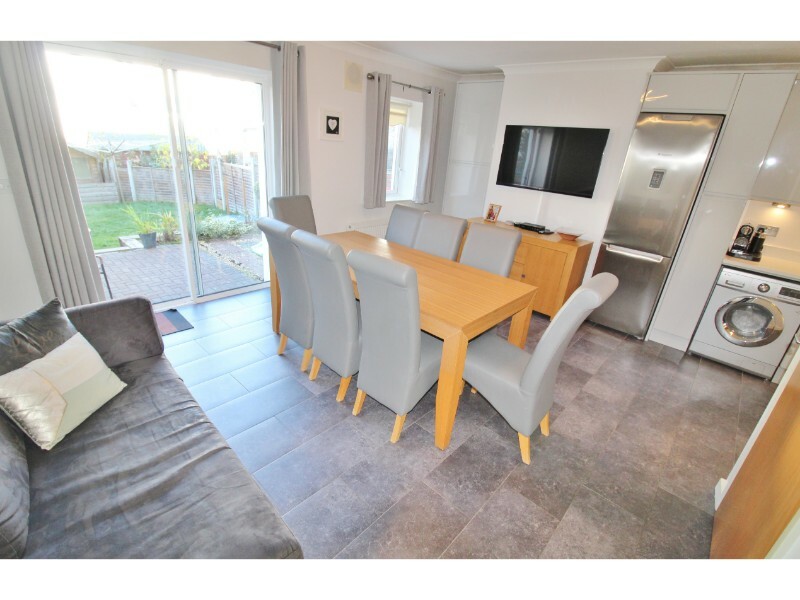 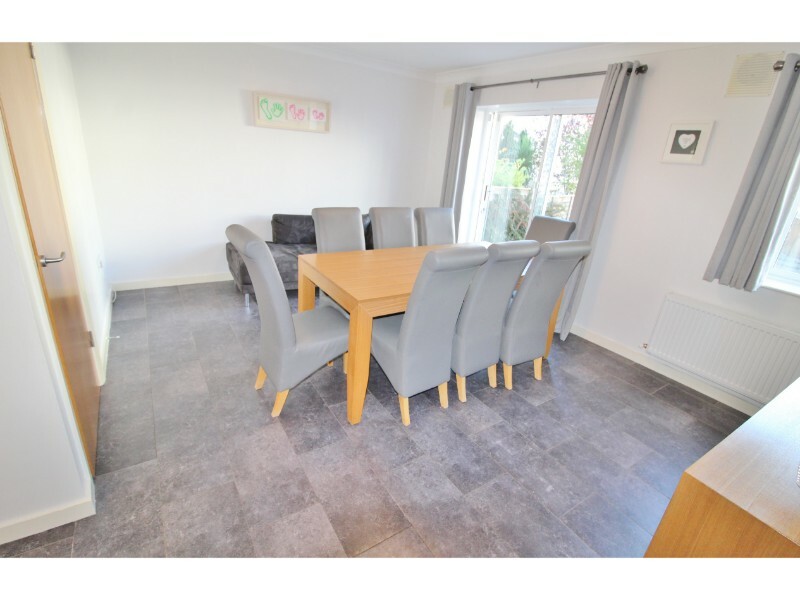 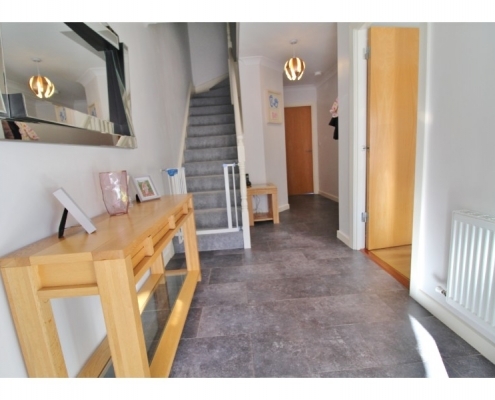 Hallway: 6.37m x 1.94m Covered porch with courtesy lighting to UPVC front door with double glazed glass panel, Porcelain tiled flooring, door to cloakroom/W.C., stairs to first floor and alarm pad. 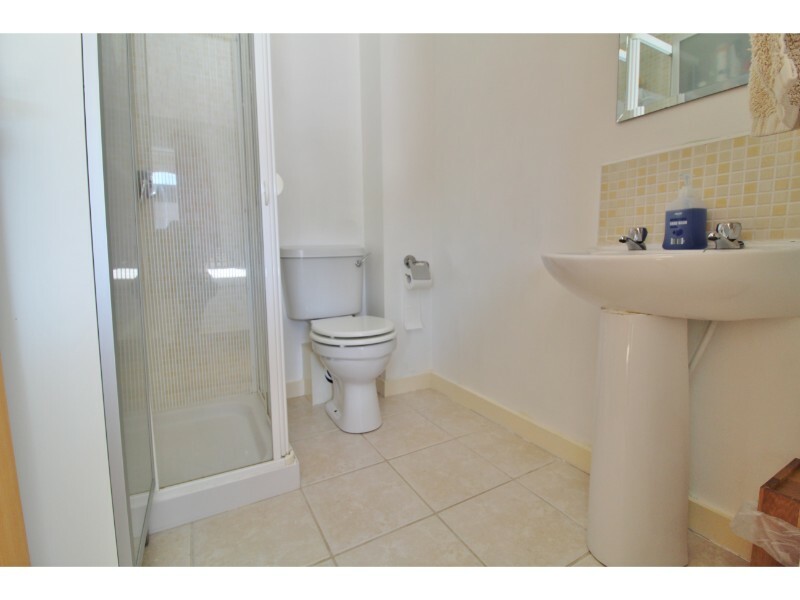 Cloakroom/W.C. 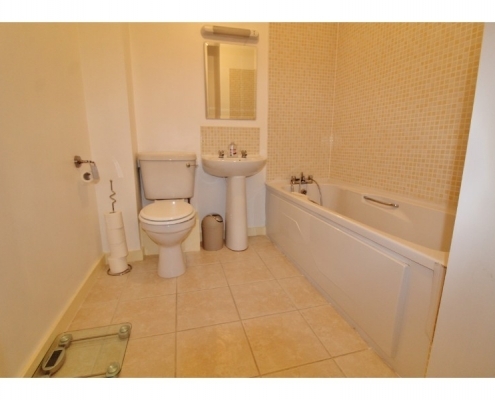 : 1.70m x 1.65m Porcelain tiled flooring, pedestal hand basin and W.C. 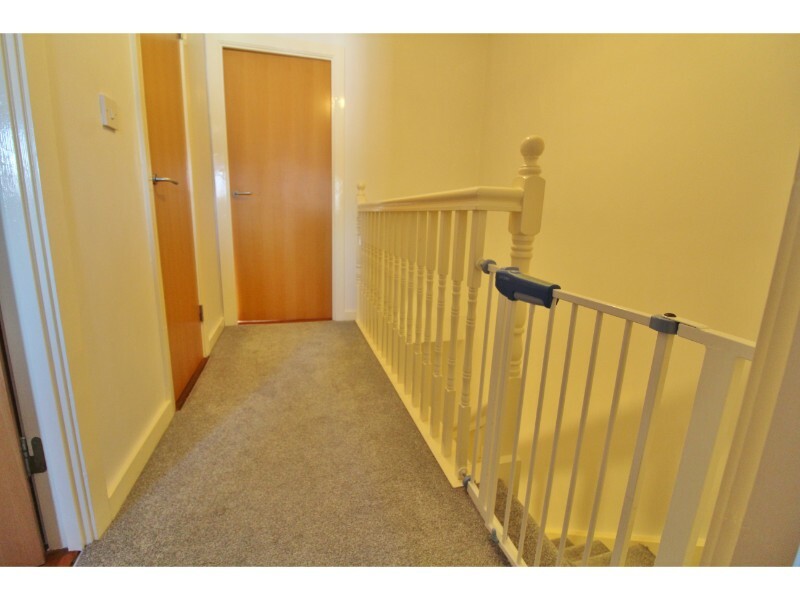 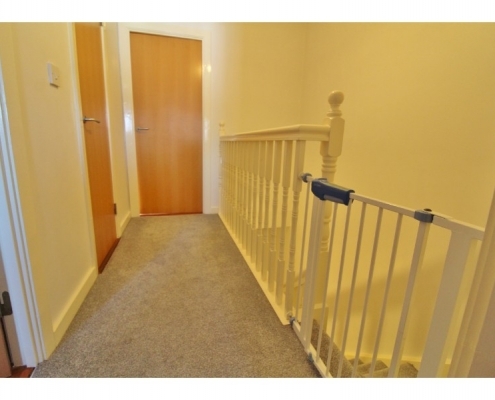 Landing: 4.24m x 2.09m Galleried landing with hot press and stairs to top floor. 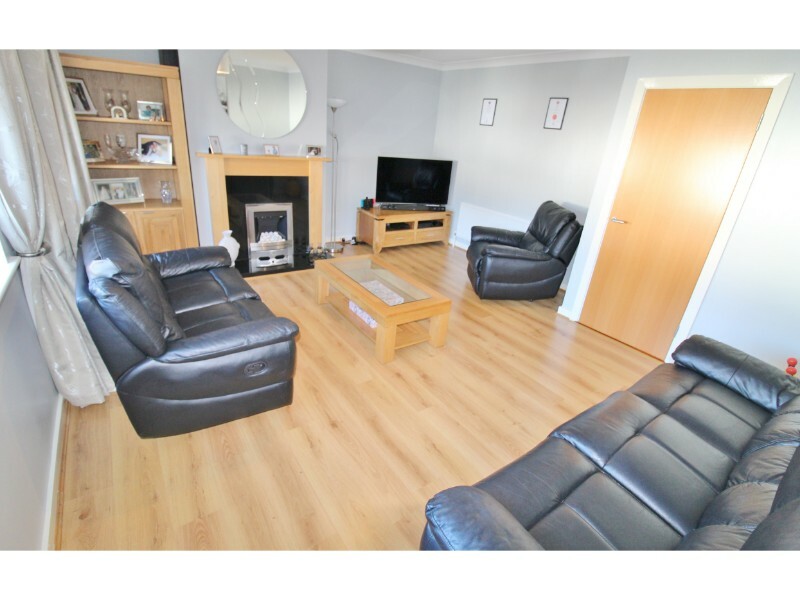 Sitting room: 5.18m x 4.51m Double glazed windows to rear aspect, superior laminate flooring, feature fireplace with marble surround and hearth-stone and wooden mantle-piece and inset, stone effect gas fire and coved ceiling. 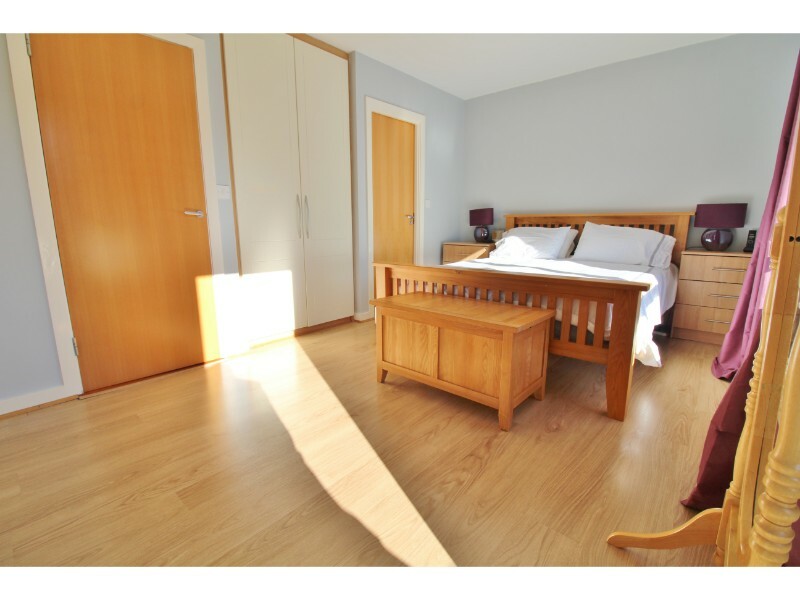 Bedroom 2: 4.61m x 3.30m Double glazed sliding patio doors to balcony, a range of fitted wardrobes and storage and door to en-suite. 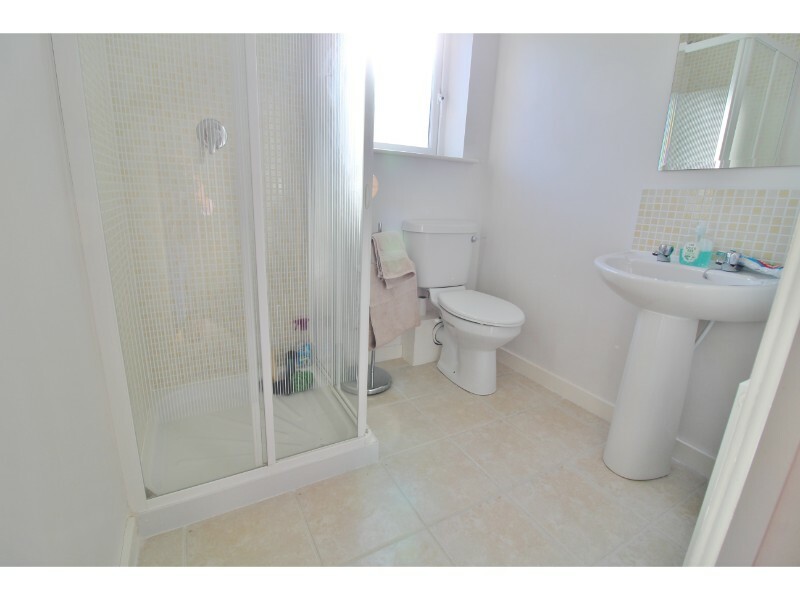 En-suite: 1.90m x 1.84m Double glazed obscure glass window to front aspect, ceramic tiled flooring, fully tiled shower cubicle, pedestal hand basin and W.C.
Bathroom: 2.64m x 2.06m Ceramic tiled flooring, bath with shower attachment, pedestal hand basin and W.C.
Balcony: South facing with wood deck base. 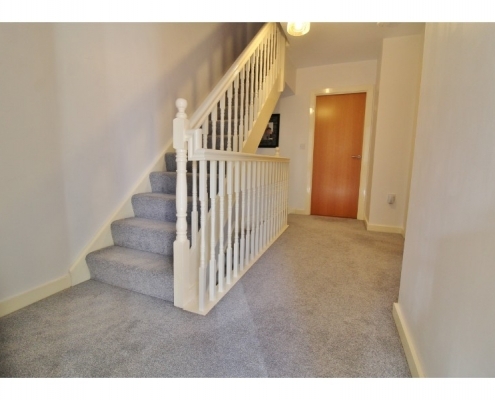 Landing: Galleried landing with storage room and loft access hatch with pull-down ladder to large, floored attic space. 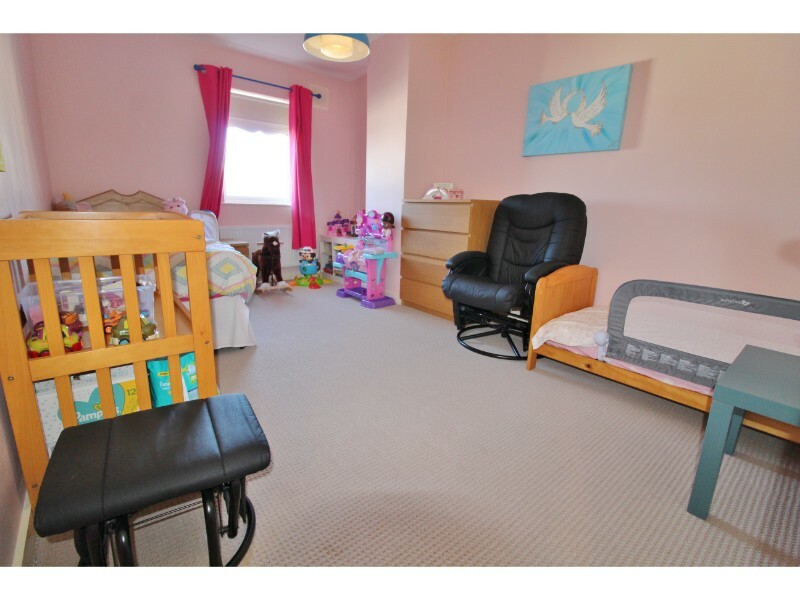 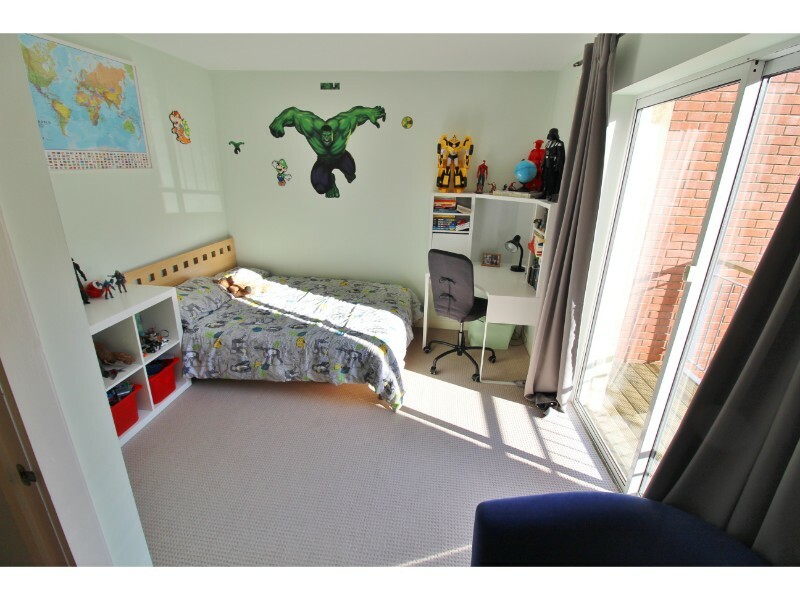 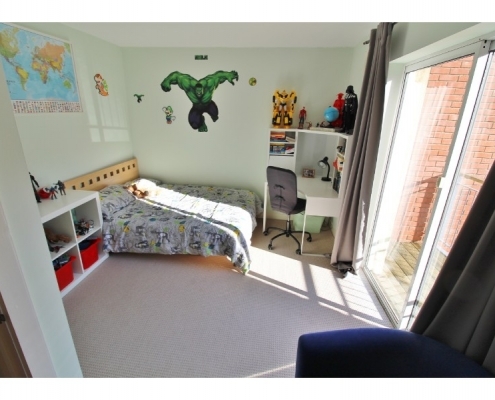 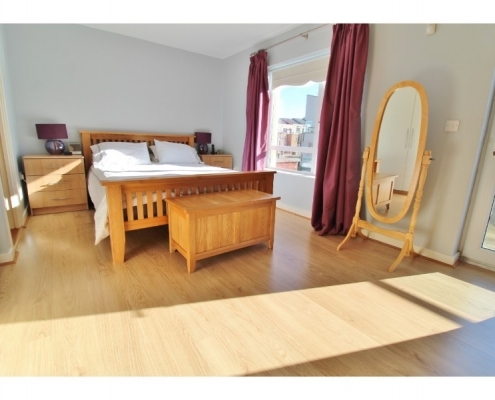 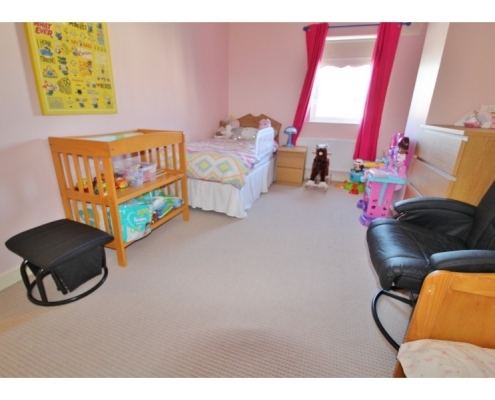 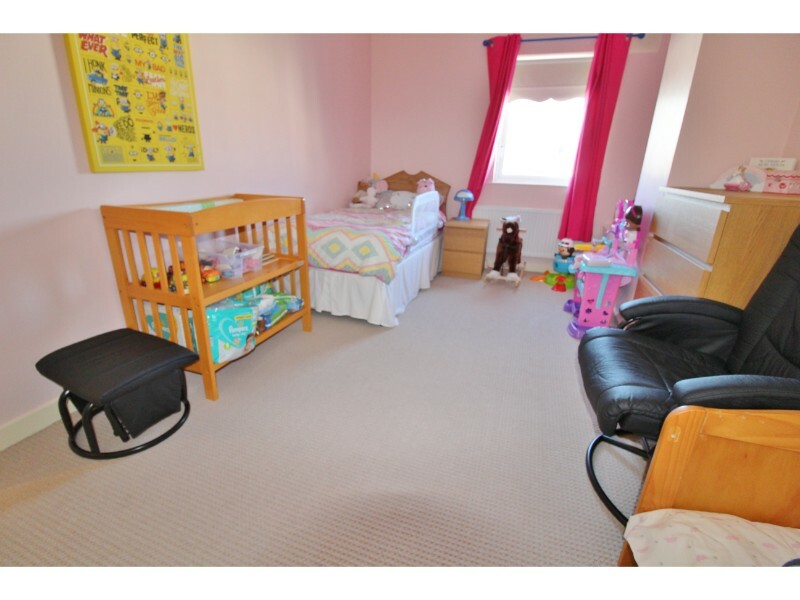 Master bedroom: 5.17m x 3.18m Double glazed UPVC door to balcony, double glazed windows to front aspect, laminate flooring, a range of fitted wardrobes and storage and door to en-suite. 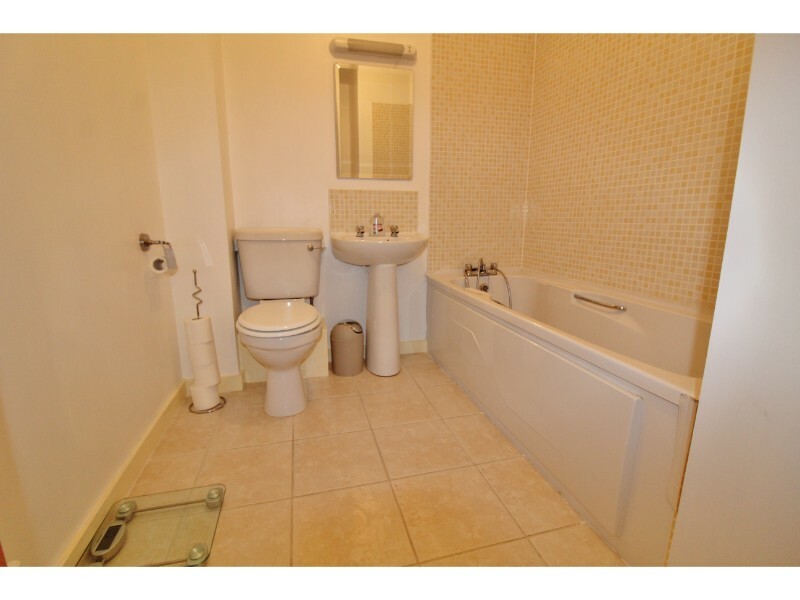 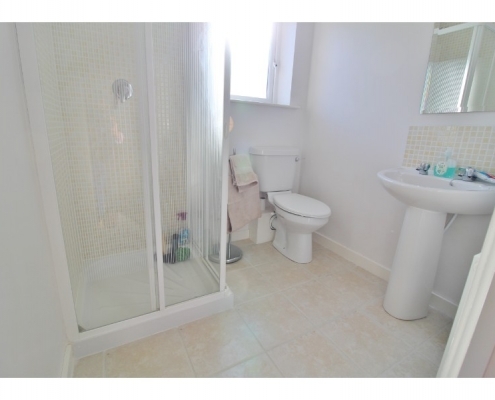 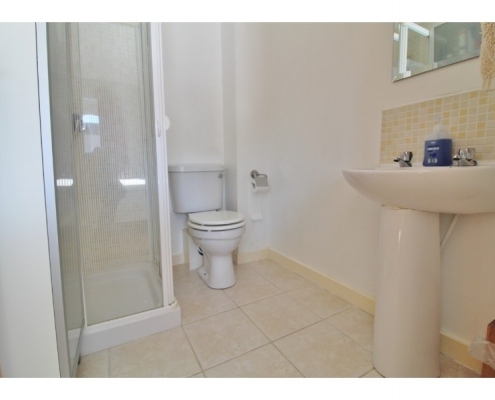 En-suite: 1.96m x 1.70m Ceramic tiled flooring, fully tiled shower cubicle, pedestal hand basin and W.C. 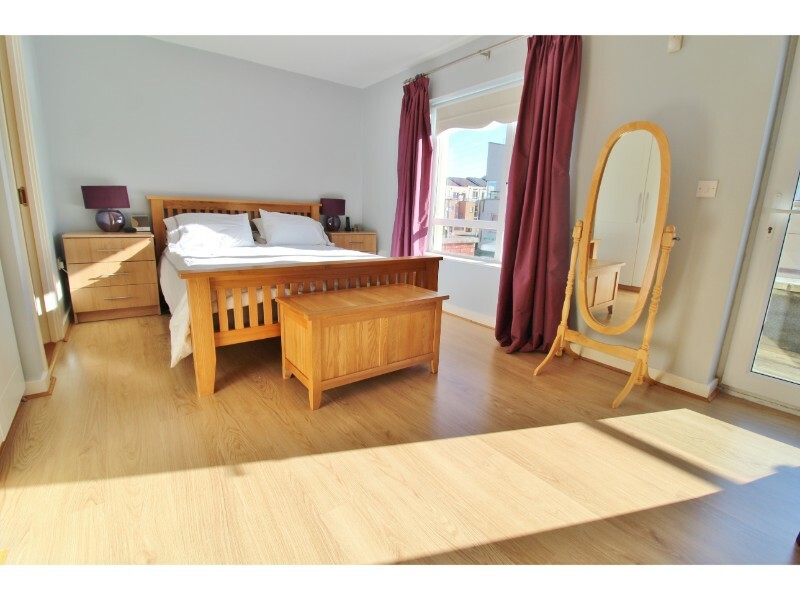 Bedroom 3: 4.80m x 3.00m Double glazed windows to rear aspect and fitted wardrobes. 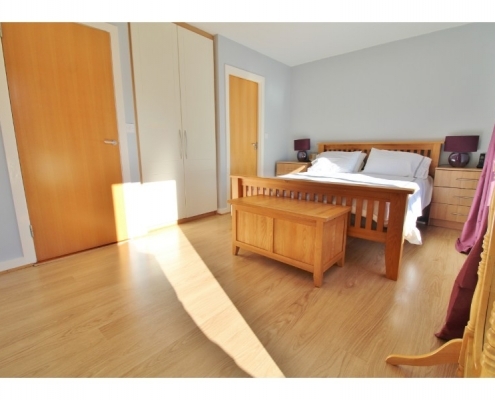 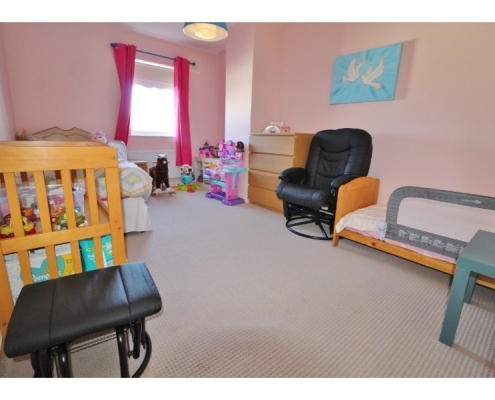 Bedroom 4: 4.00m x 2.08m Double glazed windows to rear aspect and laminate flooring. 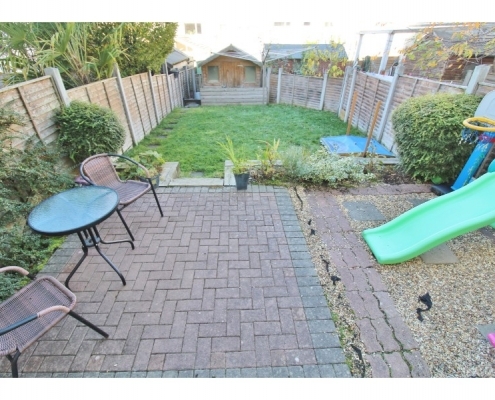 Garden: Laid to lawn with raised flower beds, cobble-lock patio, wood shed and panel enclosed fencing. 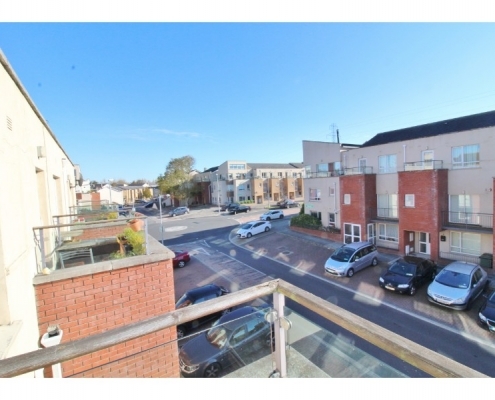 Front: Ample resident and visitor parking.